It’s been a busy month of May with shows and tastings and it would be amiss of me not to mention Vynos Dienos 2018 in Vilnius, Lithuania. 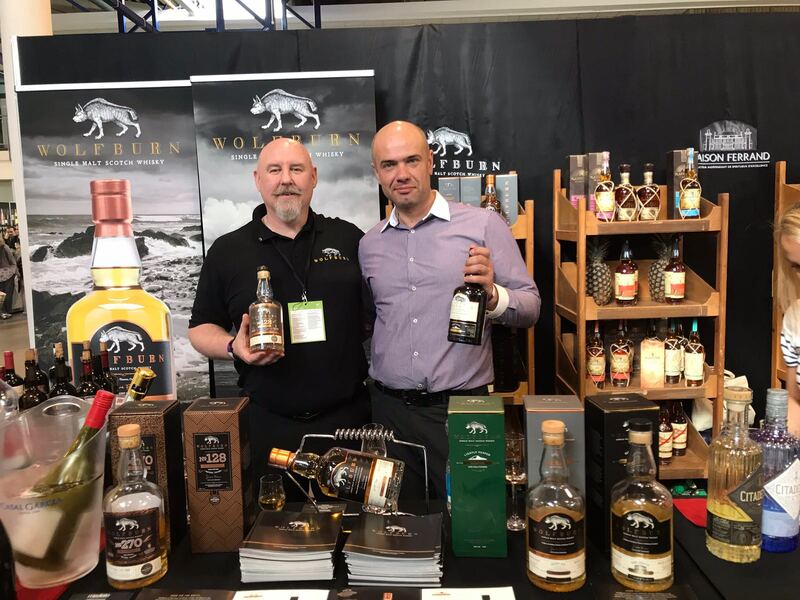 Mediato were our hosts and armed with pop up displays I travelled via Sweden to promote the spirit of Wolfburn at this prestige wines and spirit festival in the Baltics. Mareks, Egidijus and the rest of the Mediato crew were amazing. It’s not often that an offer of lifts to and from the event and traditional dinner both nights is on the cards, but everyone’s hospitality overwhelmed me. The event itself was more wine orientated with some quality spirits on offer. To be honest, watching consumers tasting then relieving their content in spittoons was pleasantly surprising. It was all about the experience and not all about getting their money’s worth. However I did notice an upsurge in the last two hours of the event and not many were letting go of their tipple then! As an emerging market it was an excellent opportunity to support our distributors and create that personal contact that helps the brand flourish. A tour of the Old Town is a must with plenty of beautiful buildings to be seen. I was told that Wolfburn was a well received addition and locals were delighted and surprised at our story and tastings. Photos and videos were taken as mementos and feedback was greatly appreciated.